Fall is fabulous here is the Midwest, and we look forward to the cooler weather and blue sunny skies that it brings. And though summer has ended, I still have beautiful green and jalapeño peppers growing in my garden. 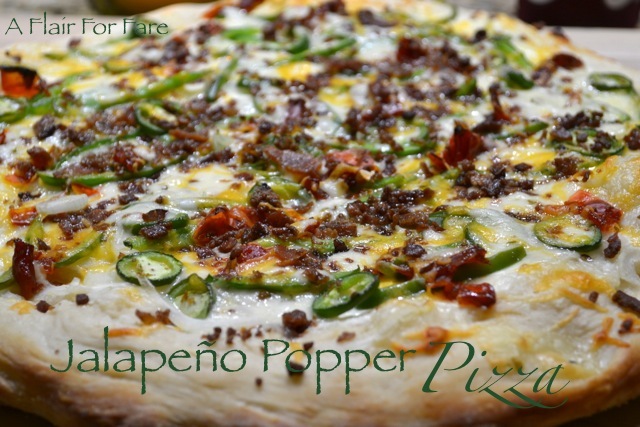 For me, Fall and peppers can only mean one thing – college football and homemade pizza. Ok, that’s two things, and both are autumn staples at our house. And because we have pizza so often during football season, we like to try many different variations and this one is a new favorite. Most anything cheesy and spicy is super delicious; put it on top of a pizza crust and rock my world. I love the combination of sweet and hot peppers with traditional mozzarella and mexican style cheeses. 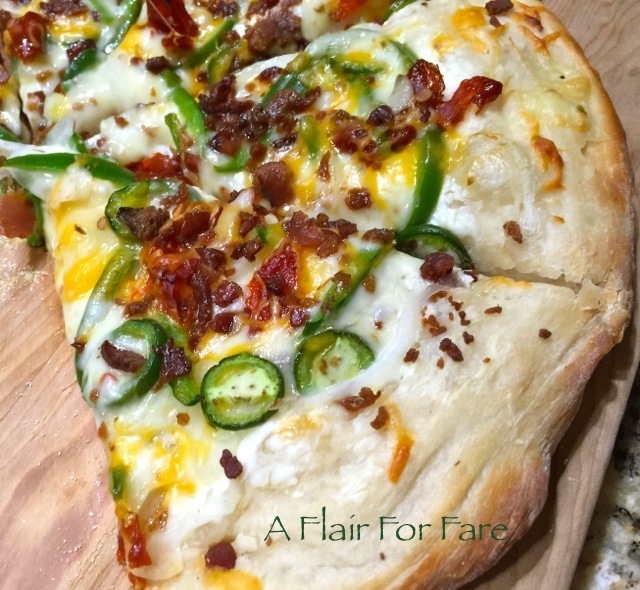 Leave in most of the vein and seeds on the jalapeños for the heat that makes this pizza stand out from the everyday pizza pie. And the crispy bacon – always delectable. So grab a cold one with a slice and cheer on your favorite team. As for me and my house, we yell ROLL TIDE!!! Mozzarella, jalapeños, green pepper, onion, red pepper, shredded jack cheese, shredded cheddar, diced bacon. Bake at 450 degrees for 12-15 minutes, until cheese is melted and crust is golden brown and puffed. If using a pizza stone, follow the manufacturer’s baking or grilling directions.